Having sold more than 20,000 vehicles over the years we have also handled thousands of trade-ins. Even though we specialize in branded title vehicles we happily accept both clean and branded titles for trade. We know how important your trade-in is to you and its significance in the financing of your new vehicle. 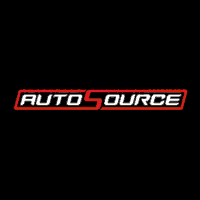 Because of the size and scale of AutoSource we are in a unique position of power when it comes to getting the most value for your trade. We are able to secure quotes from wholesalers, other dealerships, and our own market research to ensure that you get top dollar for your trade.